This article was posted on 3rd December 2015. Not only is it apparently the most wonderful time of the year, it’s also our favourite. No, not just for the mulled wine, eggnog and presents – but because we get to transform our homes from everyday kinda beautiful to glittering, glamorous homages to all that is festive. Just a few weeks ago, we got ourselves prematurely excited about all the Christmas fun coming our way and invited a few of the hottest, new interiors bloggers to help us style some of our beautiful trunks in their own Christmas style. We love trunks, chests and ottomans – all that hidden storage wrapped in a multi-functional piece of furniture; when filled with goodies and presents they add another string to their bow – Hamper, but like no hamper you’ve ever seen before. It’s so easy to get stuck in the same Christmas dec rut, year after year, so we thought a little inspiration on out-of-the-box wrapping, luxurious textures and glamourous colour combinations from those with their fingers on the interiors pulse would be a perfect start to our December. When Emilie mentioned her styling vision, using our ultra-cool and modern Transparent Trunk, we were so excited we couldn’t wait to get started – she opted for neon splashes, topped with stars – naturally! Transparent Trunk, £580; Mohair Throw, £80. If you’re ever in need of a good-humoured, satirical pick me up in your day – look no further than the motherly rants, laced with family friendly interior tips and mummy-must-haves of The Only Girl in the House. The Only Girl, aka Jess, is used to spending a lot of time in the great outdoors – running after her 5 boys, whilst doing her best to keep a stylish home, so she took inspiration from her West Sussex country side home to style this dramatically, enchanted Christmas theme. 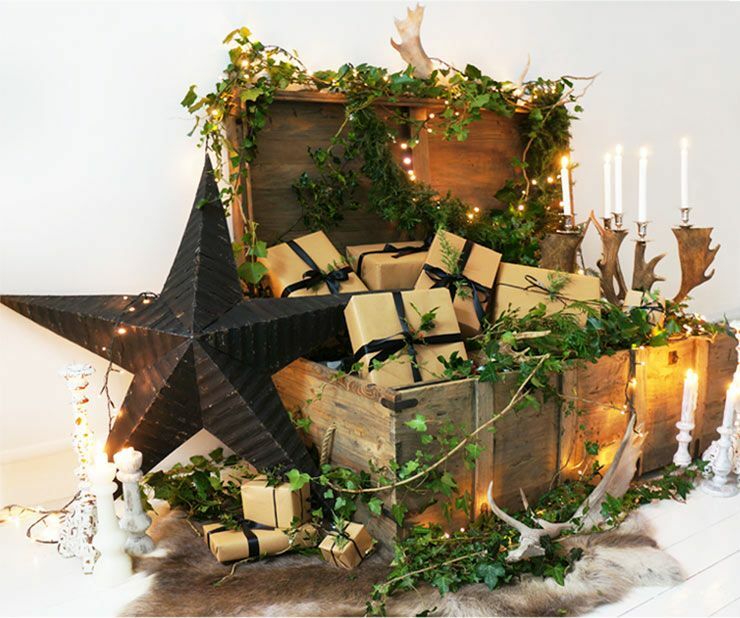 We love how our rustic Chateauneuf Trunk has been transformed into a Narnia-style, twinkling woodland scene – complete with antlers and reindeer hide. Chateauneuf Trunk, £550; Fight Me Antler Candelabra, £495; Rudolph Hide, £165. This year’s Amara Interior Blog Awards, Best New Comer winner Anna, from Don’t Cramp My Style, has knack for giving a feminine touch to all things interiors – even her hair’s pink! It therefore came as no surprise when she opted for a pretty, pale pink and white palette to go with our otherwise rather masculine C. Columbus Gold Trunk. 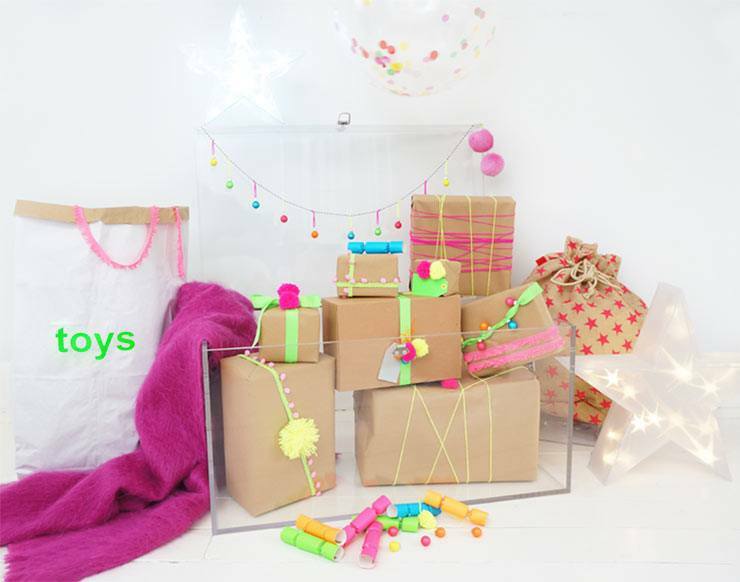 Check out her blog for amazing tips on adding a personal touch to a rented home and stylishly shopping on a budget. C. Columbus Gold Trunk, £299; Dolly The Stool, £220; French Toile Cushion, £35. We couldn’t help ourselves, with all the amazing styling coming our way we wanted to get involved too! We took our understatedly luxurious Hedonist Ottoman in black velvet and gave it a grown-up monochrome look with touches of gold. 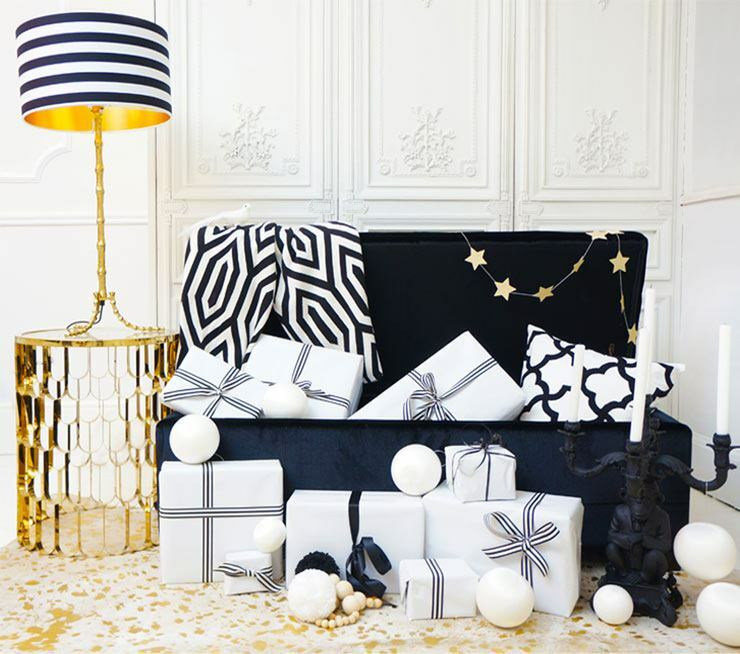 Hedonist Ottoman, £285; Monkey Candelabra, £220; Geometric Throw, £99; Colonial Table Lamp, from £199; Deco Decadence Table Lamp, £475; Glamour Gold Cowhide, £440. 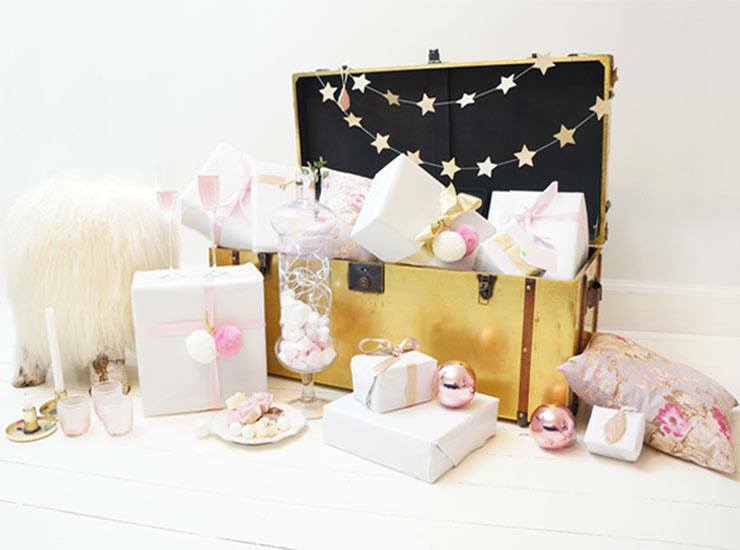 We’d love to know which one of our treasure chests you’d style for Christmas and how! Now, just to find out what’s inside all those lovely pressies.